For more information on invasive weeds, including biology and control of listed weeds, look at the encycloweedia located at the California Department of Food and Agriculture website. What is a Weed Management Area? Weed Management Areas (WMAs) are local organizations that bring together landowners and managers (private, city, county, state, and federal) in a county, multi-county or other geographical area to coordinate efforts and expertise against invasive weeds. The WMA functions under the authority of a mutually developed Memorandum of Understanding and is subject to statutory and regulatory weed control requirements. 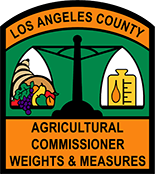 In California, such groups are usually initiated by the County Agricultural Commissioner's Office or a federal agency employee and voluntarily governed by a chairperson or steering committee. WMAs are unique because they attempt to address both agricultural weeds and wildland weeds under one local umbrella organization. 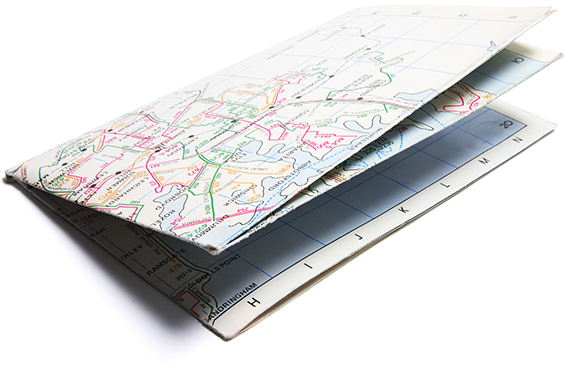 WMAs use many effective outreach weed management methods, such as printing weed identification/control brochures; organizing weed education events; writing and obtaining grants; and coordinating joint demonstration projects; weed eradication and mapping efforts. The California Department of Food and Agriculture (CDFA) helps to coordinate and support WMAs. To learn more about them and WMAs statewide, click the button below. 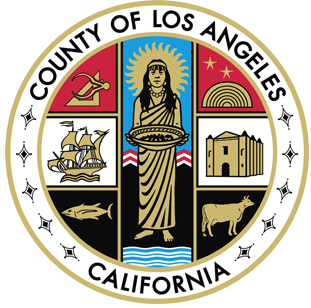 For information about the Los Angeles County Weed Management area, visit their website by clicking the button below. Why is it important to control invasive weeds? It is well known that some non-native plant and animal species can become established and out-compete native species and actually reduce or degrade an area's natural diversity. Non-native invasive weeds are increasingly being recognized as some of the most destructive and rapidly spreading of the invasive species. Some are poisonous, others interfere with agriculture, and still others simply become so numerous, practically nothing else has room left to live! Invasive weeds are spreading on private and public lands. The US Forest Service estimates that as much as several thousand acres of public lands a day are being lost nationwide to invasive non-native weeds. To get your kids involved, visit the Just For Kids website by clicking the button below to learn more about the environment. The LA County WMA is currently undertaking several projects to begin the process of effectively managing some of the most invasive weeds in the County. Starting in 2001, we began conducting surveys of selected invasive plants based on the threat they posed to the environment and the ability to control them. Some of our specific control projects are listed below. First found by a beekeeper in the Angeles National Forest, we are in the third year of an eradication project that continues to show promising results. We have used a number of methods to eradicate this invasive weed such as hand removal, quarantine, and chemical treatments. With the outstanding cooperation of the US Forest Service, we estimate that we have achieved better than 90% reduction of plant biomass after the first year. Our eradication plan now centers around the prevention of seed production that will add to the already established "seed bank". A "seed bank" consists of seeds that already exist in the soil from previous years growing seasons. With each plant producing upwards of 40,000 seeds, and seeds being viable for 3-5 years, we have a lot of work ahead of us. A second, much smaller infestation has been found in Charmlee Park in Malibu, and a single plant was recently detected in Lancaster near the Kern County border. This last find was the result of a landowner recognizing the plant from an "invasive species alert" postcard developed by the Weed Management Area to help the public to help us identify new areas of infestation. To obtain copies of the post card, call Rose at 626.575.5462. Halogeton was first discovered in the Antelope Valley in the 1970's, and has been monitored carefully since. After a campaign of hand removal and chemical treatments, no additional plants have been found at any of the known infested sites, but surveys will continue for a minimum of 3 years. With the last years' dry spring triggering an early fire season, we have seized the opportunity created by the Copper Hill Fire in Santa Clarita. Large areas of San Francisquito Canyon were burned including the Arundo along the creek. This unique situation removed the dead canes and last years' growth by fire, and the cost of removal is greatly reduced allowing us to treat just the re-sprouts. In the third season of suppression, we are encouraged that the only sprouting is coming from previously untreated rhizomes that did not sprout after the fire last year. There plants were treated in the spring to further control the infestation. There are several other Arundo suppression efforts being undertaken by WMA members. Members help each other out with expertise, materials, and moral support. We have been working with the National Park Service at their Paramount Ranch property located in the Santa Monica Mountains National Recreation Area. A portion of Medea Creek runs through this area, and it is infested with Perennial Pepperweed. Currently, a portion of the upper creek channel has been mowed to prevent flowering and subsequent seed production. We began herbicide treatments of re-sprouts enabling biodiversity to return to this unique riparian habitat. The Park has re-vegetated this portion of the creek to provide the necessary 'pressure' to begin the slow process of reclaiming this habitat. This weed was first found in the late 1990's infesting the El Segundo Dunes near LAX and up in the Solstice Canyon area of the Santa Monica National Recreation Area. Surveying began in the summer of 2001 in the Malibu drainage to delimit the size of the infestation. We started in areas that were likely to be favorable to the weed, and moved out to areas that were less favorable. Concluding our surveys in early winter of 2001, we found that the infestation is considerably more widespread than earlier believed, making eradication only possible in small areas. During our survey, a satellite infestation was found in Monterey Park on property owned by the Metropolitan Water District (MWD). Permission was secured to treat the MWD infestation, and about 3 acres of spurge were treated. Surveys of this same property during the spring of 2002 showed excellent control was achieved. In cooperation with the National Park Service, we plan to eradicate Geraldton Carnation Spurge in Zuma Creek and Solstice Creek using a variety of control methods, and try to limit its spread elsewhere. Tree Spurge (Euphorbia dendroides) was discovered in the late spring of 2002 infesting the area around the Chantry Flats Ranger Station. Not much is known about this plant, but it grows to be 8 feet tall and appears to be spreading down the hill into Santa Anita Canyon. We have entered into a cooperative agreement with the US Forest Service to continue to control this and several other invasive species in the area. Native plant species have begun to repopulate the areas. We have entered into a cooperative agreement with the US Forest Service to continue to control this and several other invasive species in the area. Native plant species have begun to repopulate the areas. There are many species of invasive weeds known to exist in Los Angeles County. Of these only three (that we know about) are considered highly invasive and are listed as "A" rated by the California Department of Food and Agriculture (CDFA). All three are targets of eradication efforts aimed at completely eliminating them from the County. Sightings should be reported to the County Agricultural Commissioner's Office. They are listed below. Alligatorweed is an aquatic weed that grows in shallow water and forms dense interwoven floating mats that extend over the surface of deeper water. Mats become dense enough to support the weight of a person. Floating mats can break away and spread the infestation to new sites. These dense mats can disrupt the ecology of the body of water they infest by reducing light penetration and crowding out native species. Serious infestations can create anoxic, disease, and mosquito breeding conditions. Alligatorweed was first discovered in LA county in the 1960's behind the Whittier Narrows Dam. Extensive surveys were conducted over several years, including door to door, when it was found infesting residential neighborhoods, and over 200 acres were eventually identified as infested. Today, after thirty years of hard work and millions of dollars, the area of known infestation is less than 1/4 of an acre. Halogeton invades disturbed arid and semi-arid sites with alkaline to saline soils. Plant tissues accumulate salts from deeper in the soil and become concentrated in the plant. These salts leach out of dead plant material, increasing topsoil salinity and favoring halogeton seed germination. Some salt in the foliage contains soluble oxalates toxic to livestock, especially sheep. Animals in poor condition are at greater risk of poisoning than well-nourished ones. As little as 12 ounces of foliage can be fatal to animals in poor condition. The current Halogeton infestation is found near Highway 14 in the Antelope Valley. Spotted Knapweed is a non-native thistle introduced from Europe, probably as a contaminant of animal feed. 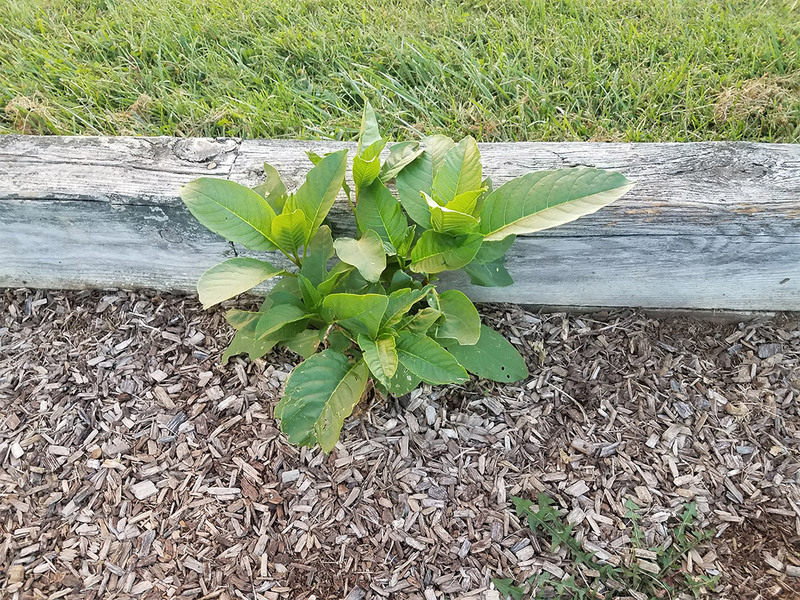 It is an aggressive biennial or short lived perennial that forms dense infestations in disturbed sites that eventually move into undisturbed areas. Spotted Knapweed reduces biodiversity by out competing native vegetation, may cause soil erosion, reduce forage for wildlife and livestock, and reduce appraised land values. Spotted Knapweed currently infests the Tanbark Flats area of the San Dimas Experimental Forest and a small area near a hiking/equestrian trail in Charmlee Park in Malibu. Recently, a single plant was detected in Lancaster near the Kern County border. Spotted Knapweed is considered to be one of the most serious weeds in the Western U.S.
Geraldton Carnation Spurge is a fairly recently discovered invasive weed that is currently rated "Q" by the California Department of Food and Agriculture. This pest designation means that the pest is new to the state and its seriousness as a pest is being evaluated. This plant is native to the Mediterranean coast of Europe. Like other members of the Euphorbia family, broken stems exude sticky white sap. The sap of Carnation Spurge is toxic and can cause temporary blindness if allowed to come into contact with the eyes. Stock that graze heavily or eat infested hay may be poisoned. It gets its start in disturbed sites along roadsides, trails, firebreaks and riparian areas. This plant spreads very quickly and replaces native plants that provide food shelter and other resources to native animals. Geraldton Carnation Spurge infests the Malibu drainage down to the El Segundo Dunes and has been found in Monterey Park and City Terrace area. Arundo or Giant Reed is a large, thick-stemmedgrass, that grows in flood plains and riparian areas. It looks like bamboo and is often mistaken for it. It is native to Asia and was once used to control erosion. It can grow to 30 feet tall and produces no viable seed, but spreads vegetatively by using underground stems called rhizomes. Arundo is one of the fastest growing plants in the world--under ideal growing conditions it may grow up to 4 inches a day. It forms large colonies that displace other plants and provide virtually no habitat or food for wildlife. 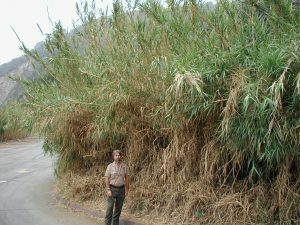 Arundo is highly flammable, which encourages fire along streams and can further degrade riparian habitat. This is Los Angeles County's most hated invasive weed. More time and resources are being expended on the eradication of this one plant than any other. Castor bean is originally from tropical Asia and Africa. It was grown as an agricultural crop for its oil, but it escaped from cultivation and began to spread into disturbed areas in the San Joaquin Valley and coastal regions of Southern California. The crop report from L.A, County from 1881 notes that 900 acres of castor bean plant yielded 1.2 million pounds of seed. Not only does it displace native plants by forming large colonies, but it is one of the first plants to germinate after a fire. Through rapid growth, it out competes native vegetation and creates new infestations where previously there had been only healthy native plants. Castor bean seeds are extremely poisonous to humans, cattle, horses, rabbits, sheep, pigs, goats, cats, dogs, and poultry. Two beans, if ingested, can be lethal in humans. Perennial Pepperweed is a native of Eurasia and infests brackish to alkaline wetlands throughout California. It is a multi-stemmed plant that grows from 3 to 8 feet in height. Pepperweed forms dense colonies that displace native plant species, and it acts as a "salt pump" by bringing salt ions from deep in the soil up through its root system and depositing them in the top soil. This changes the soil chemistry by making it more alkaline. Yellow Starthistle is native to southern Europe and western Eurasia. It likes to colonize disturbed areas and moves into annual and perennial pastures. It forms dense, spiny, infestations that displace native plants and animals, threatening natural ecosystems and nature reserves. Yellow Starthistle can significantly deplete soil moisture reserves in the grasslands they infest. This plant is toxic to horses and long term consumption can cause a neurological disorder known as chewing disease. Not only does Yellow Starthistle reduce the quality of the land it infests, it also limits the recreational value by creating impenetrable barriers. Use weed-free forage when horseback riding on public lands. Keep on the lookout for unusual plants while in the outdoors, and report them to the local Agricultural Commissioner's office. Volunteer to help with an invasive weed control project in your area by contacting any of the members of the Weed Management Area listed here. Take classes in weed identification, botany, etc., and then volunteer at local parks or wildlife areas to help spread the word about the importance of controlling invasive weeds. Become informed about local planning issues that may involve the control or spread of invasive weeds. Support legislation directed towards invasive species control, suppression, or eradication.